Design Superstore is the stop for the largest in-stock selection of flooring in Central Texas and the Brazos Valley. Choose any in-stock flooring today and we’ll install this week! We’ll make sure your new floor is put in the right way, protecting your investment and warranty. Are you a Do-it-yourselfer? Take your flooring home today! Contact us with questions or to set up your free estimate! HARDWOOD: Browse our huge selection of woods and finishes. Need help? From selecting the color and surface texture—piano finish, hand-scraped—to choosing the best species of hardwood for your needs utilizing the Janka Hardness Scale, we’ll help you find the floor of your dreams. If you don’t see exactly what you’re looking for let us know and we’ll get it for you for you. All of our hardwood products are certified legally forested under The Lacey Act. CARPET: Carpet is always in style and always a great investment. You’ll find an endless selection of colors, styles and textures for every room in your home or business. Check out the new super-soft carpets and latest design trends such as special textures, patterns and colors. Consider carpet for any flooring: residential, property management, commercial, rental property, new construction or remodeling. 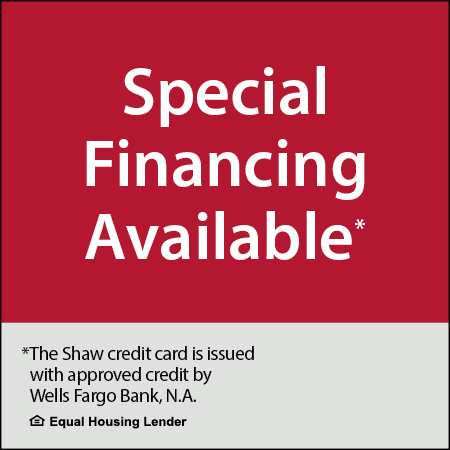 Extended warranties are available at no extra cost. Design Superstore is a Shaw Design Center and offers exclusive extended warranties. Stop by and find out more today. AREA RUGS: Spread personality around a room with area rugs. Imagine an heirloom quality Oriental area rug atop a gleaming hardwood floor or a handcrafted braided area rug on charming pine planks. In myriad styles and prices, Design Superstore’ versatile area rugs set the mood while suiting the wallet. We have an extensive in-store selection of area rugs—the largest in Central Texas and the Brazos Valley. We carry handmade, tufted and woven rugs in options for any decor, from traditional to contemporary, transitional to southwestern. Come browse our in-stock designs. We carry 6′x9′ and 8′x11′ rugs, with runners available by special order. Area rugs serve more than just decorative purposes. Yes, they look gorgeous, but area rugs also define space in rooms, especially in today’s open floor plans. 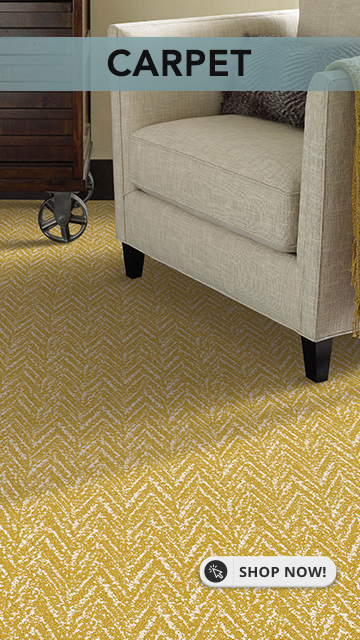 Area rugs also help protect flooring in high-traffic areas or pivot-points. 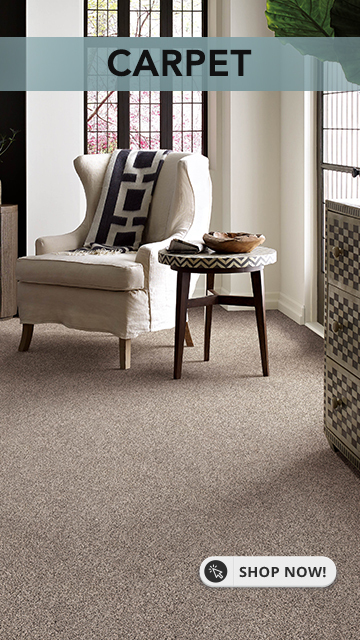 And what better way to disguise carpet’s well-worn or soiled areas than an area rug? Our rugs are fade-resistant and stain resistant, two more reasons area rugs are a perfect solution for your home or office. We offer in-store custom binding. 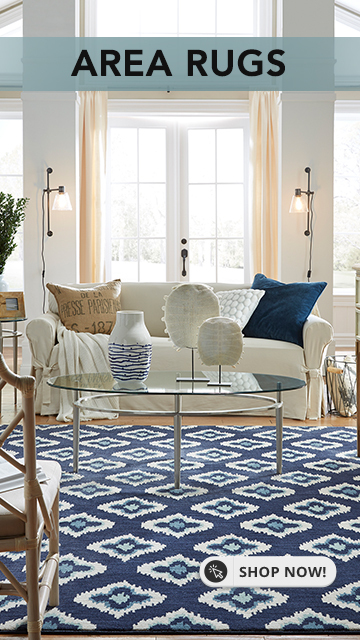 If you don’t see an area rug that’s just right, create one in any size with any carpet in stock. 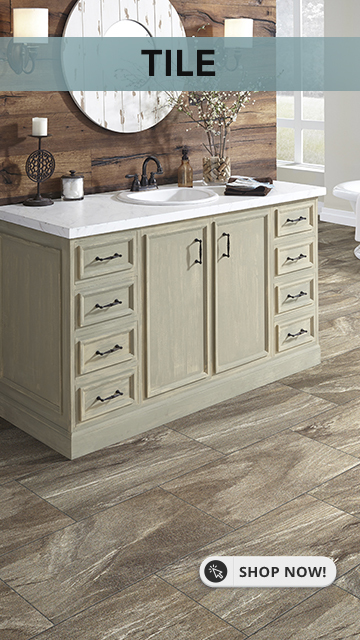 TILE & STONE: The world of tile offers endless aesthetic options. It’s durable, practical and beautiful! At Design Superstore find everything from tumbled stone to glass and metal tile. Custom tile work creates a unique feel in a room. We carry tile medallions and can create one-of-a-kind mosaic patterns. We also do custom showers, tubs and backsplashes. Our exclusive tile installation leveling system eliminates lippage and uneven surfaces in your floor. Ask about our 5 & 10 Year “No Crack” Warranties for tile and stone installation with the MerKrete system. 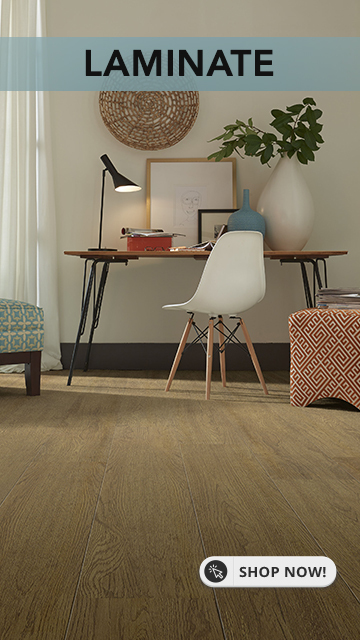 RESILIENT: Easy to care for and even child-proof, vinyl or resilient flooring offers a variety of choices for your home or office. And it’s a beautiful option for areas where moisture could be a problem. Its high-endurance surface makes it resistant to wear and abrasions, so it’s a superior choice for areas with high foot traffic. Plus, vinyl boasts a bounce-back attribute that prevents breakage of dropped objects. 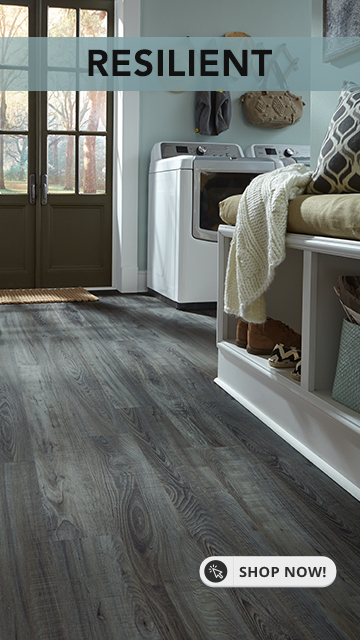 Use vinyl for sub-grade levels, bathrooms, mudrooms—or your entire home or business. You can choose between continuous sheet or luxury plank & tile. 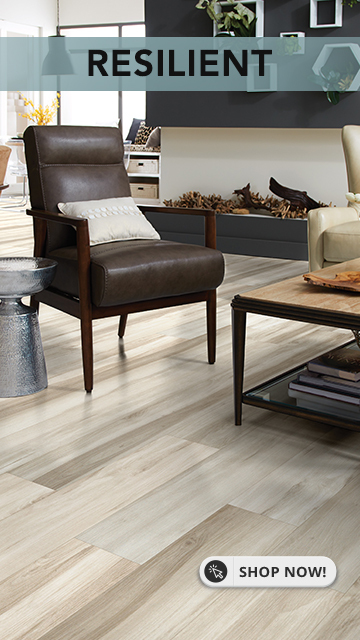 Luxury vinyl flooring gives you the texture and elegance of wood, tile, or stone without the hefty price tag. The variety of fashionable choices and realistic replication of natural looks available in luxury vinyl today coupled with its affordability have made it the fastest growing category in the flooring business. 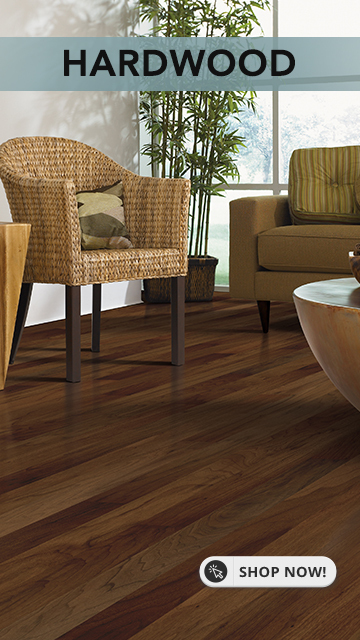 LAMINATE: Laminate flooring offers the beauty of wood or stone at a fraction of the cost. 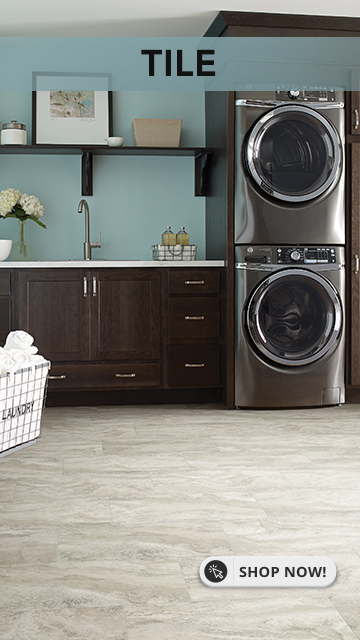 The incredibly durable option of laminate makes it extremely versatile. Laminate is a great option for your entire home or business, but it’s exceptionally good for areas where you want the look of hardwood but expect heavy traffic that hardwood might not tolerate. Find exclusive laminate here! We carry the latest styles, featuring a registered embossed technology with texture to match grain and knot hole patterns. Look for finishes such as the trendy piano finish with its radiant luster. We offer 2 and 3-strip visuals on single pieces for more variety of aesthetic appeal. And, most of our flooring is made in the U.S.A.
GREEN: Design Superstore understands your environmental concerns. We are committed to carrying a large selection of affordable and environmentally responsible flooring products because we want your world to be beautiful, inside—and out. We stock green tile, bamboo and cork. 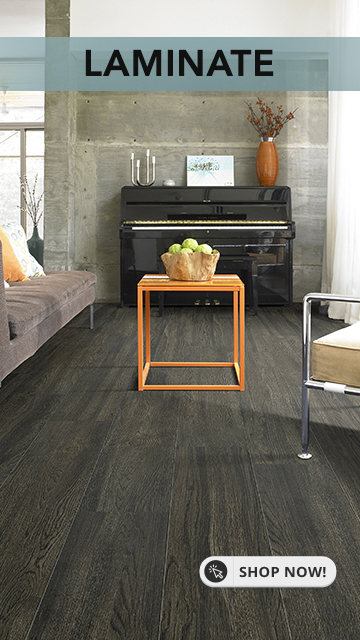 You’ll find flooring made from recycled content like Shaw’s Epic Hardwood and resilient by Mannington. Other eco-friendly choices include fully recyclable rugs and carpets such as Shaw Living’s EcoMade and Anso Nylon carpets, and products manufactured with little or no waste like Mohawk ceramic. We also stay abreast of the latest products and practices to minimize environmental impact. For example, we use low VOC emission adhesives in our installation. Contact us with questions about our environmentally friendly products or services or to set up a free estimate.